Farrar, Straus and Giroux, 9780374178598, 512pp. In the extraordinary generation of American poets who came of age in the middle of the twentieth century, James Wright (1927–1980) was frequently placed at the top of the list. With a fierce, single-minded devotion to his work, Wright escaped the steel town of his Depression-era childhood in the Ohio valley to become a revered professor of English literature and a Pulitzer Prize winner. But his hometown remained at the heart of his work, and he courted a rough, enduring muse from his vivid memories of the Midwest. A full-throated lyricism and classical poise became his tools, honesty and unwavering compassion his trademark. 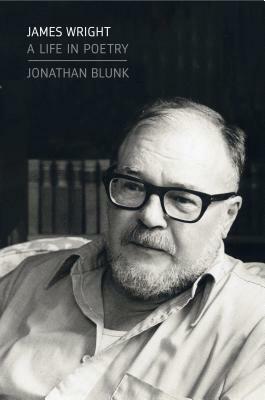 Using meticulous research, hundreds of interviews, and Wright’s public readings, Jonathan Blunk’s authorized biography explores the poet’s life and work with exceptional candor, making full use of Wright’s extensive unpublished work—letters, poems, translations, and personal journals. Focusing on the tensions that forced Wright’s poetic breakthroughs and the relationships that plunged him to emotional depths, Blunk provides a spirited portrait, and a fascinating depiction of this turbulent period in American letters. A gifted translator and mesmerizing reader, Wright appears throughout in all his complex and eloquent urgency. Discerning yet expansive, James Wright will change the way the poet’s work is understood and inspire a new appreciation for his enduring achievement. Jonathan Blunk is a poet, critic, essayist, and radio producer. His work has appeared in The Nation, Poets & Writers, The Green Mountains Review and elsewhere. He was a co-editor of A Wild Perfection, the selected letters of James Wright. "[An] engrossing biography . . . Wright comes through vividly on almost every page. Blunk began working on the book in 2002, and it's clearly the better for that long gestation . . . Blunk makes judicious use of Wright's papers, including important letters that only recently came to light . . . It's in the extensive endnotes that Blunk really shines, illuminating his sources and his resourcefulness . . . Literary biography at its fine-grained finest." "[A] seamless fine-fabric of a biography that, while limning its subject with great compassion, arouses a powerful appetite for Wright's writing." "Offering an unabashed appreciation of Wright's poetry but also an evenhanded assessment of the poet's tortured life, Blunk's impressive study is as compelling as Wright's own story."